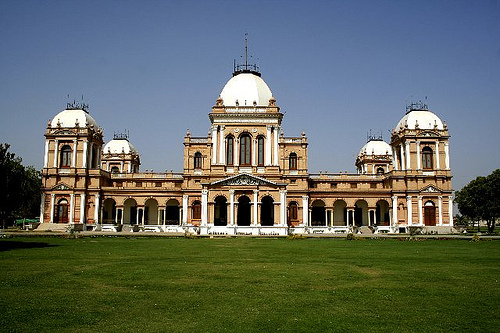 Special Assistant to Prime Minister on Social Sector Shahnaz Wazir Ali on Thursday said that permanent delegation of Pakistan at UNESCO was actively engaged with the World Heritage Centre (WHC) for updating tentative list and getting new heritage status for historical sites. Shahnaz Wazir Ali, who is also Pakistan Representative to UNESCO, told APP that Pakistan’s request for international assistance for updating the tentative list has been approved by the World Heritage Committee, UNESCO. “This tentative list once updated will assist in getting new inscriptions on the World Heritage List from Pakistan after completion of necessary procedures and formalities”, she said. Shahnaz Wazir said funding made available to Pakistan in this connection will include a national workshop for all relevant authorities of the provincial governments. “This will be the first step in identifying the potential cultural and natural heritage in Pakistan and help in revision of the current tentative list which at present does not take into account our rich cultural and natural heritage”, she said. This workshop will provide a basis for capacity building and contribute to successful nominations from Pakistan, she added. She said the decision taken by the World Heritage Committee in its 33rd Session (Seville, 2009) with respect to non-inscription of extension of archeological Ruins at Moenjodaro, to include Mehrgarh, Rehman Dried and Harrapa as an extension to the Indus Valley civilization is purely on technical reason. In 2009 Pakistan was asked to consider resubmitting Mehrgarh and Rehman Dheri as new nominations following additional research and comparative analysis, she added. The same decision also encouraged in relation to Harappa, to consider resubmitting the site as an extension to the archeological ruins at Moenjodaro following the strengthening of the management and conservation of the site, review of the property boundary and buffer zone and further research to firmly establish the specific links between the two archeological sites, she said.